Nerve mobilization is a type of nerve therapy that aims to specifically locate and treat nerve tension and fixations all throughout the body. The more I use nerve work in my practice, the more I become aware of the effectiveness of this form of treatment for a variety of ailments. 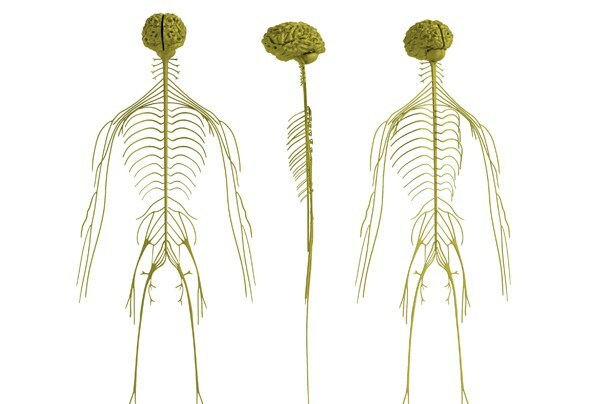 Nerves are linked to most major functions in the body through the spine and emanate to connect directly to the structure they innervate. An analogy would be how an electrical cord from a lamp connects to the electrical outlet in your wall in order for the lamp to turn on. The nerves are the messengers of the nervous system and transmit electrical signals to muscles, organs, and connective tissue (fascia) so these systems can perform their daily functions. The difference between good health and poor health in the body can be a matter of pressure on the nerve that is equivalent to 5 grams (or the weight of a nickel), which is why nerve work is performed very gently. Nerve mobilization consists of applying gentle, precise pressure to a fixated or restricted nerve in order to glide or floss it through the nerve sheath that houses the nerve inside a tube like structure. Performing a mobilization on the nerve fixation will free the nerve and will help restore the proper signaling to the compromised structure that it innervates and therefore improve the function of the muscle, organ, or fascia. Often times, patients will ask me if massage is helpful for alleviating chronic muscle spasms and pain. They will often report that when they have had a massage in the past, the effects were temporary. When I hear this from patients, I will often suspect that a nerve is being compressed or impinged and has not been directly treated yet. If this is the case, the nerve will be sending continuous, abnormal signals to the muscle telling it to “contract” and therefore causes a muscle to spasm and stay tight for long periods of time. Therefore, trying to only massage or release the muscle will be a temporary treatment solution. If the nerve is released through nerve mobilization, then the nerve will send normal signaling to the muscle and won’t “tell” it to contract and stay contracted anymore. Finally, it may be necessary to release the muscle, organ, and/or the fascia to get a lasting relief from symptom(s). Nerve mobilization is also known as: nerve gliding, nerve flossing, neural mobilization, and nerve manipulation, and can be helpful for nerve entrapments or nerve impingements. Most commonly, there is nerve tension in the neck or lower back. If there is a compressed nerve in the neck region, it may cause radiating symptoms of pain, numbness, tingling, burning, and/or decreased strength to the upper back, shoulder blade, shoulder, and/or the arm(s). Furthermore, if there is compression in the lower back, it may cause sciatic nerve tension (sciatica) that may cause similar radiating symptoms as above to the lower back, hip, buttock region, and/or leg(s).